Though born in Oxfordshire, England, Florence Pugh spent the first few years of childhood living in Andalusia, Spain due to health problems as a child. She had asthma and collapsed airways, so the family moved in the hope that a warmer climate would help. Her father, Clinton Pugh, owns a chain of restaurants, while her mother, Deborah, is a dancer, and dance teacher. Back in England, Florence displayed her first taste for acting at age six when she played Mary in the Christmas nativity, adding her own twist by giving Mary a Yorkshire accent. She would follow that up with further lead parts in school productions when she attended the private schools Wychwood School and St. Edward’s School in Oxford. Florence landed her first professional acting role at age 17 by chance, when she sent in an audition tape on the advice of her mother under the impression that the likelihood of her landing the role was virtually nil. Neither believed she would land the role in The Falling (2014), alongside Game of Thrones star Maisie Williams. In 2015, she was given a role in the TV pilot Studio City alongside Heather Graham and Eric McCormack, but the experience almost turned her off from acting when Hollywood producers asked her to lose weight for the role after she'd been cast. Thankfully, the pilot didn't take off and she was next cast in the period feature film Lady Macbeth (2016). Her performance as Katherine received rave reviews, and she was nominated and/or won awards from several film festivals and film critic awards as well as being nominated for the Rising Star Award at the 2018 BAFTAs. Immediately after, she guest-starred on three episodes of the TV crime drama Marcella (2016), but after Lady Macbeth was released, she became in-demand, leading to a very busy 2018 for the actress, including the release of several films and a TV mini-series. She would star opposite of some Hollywood heavyweights including Liam Neeson in The Commuter, Chris Pine in Netflix’s The Outlaw King, Anthony Hopkins in Amazon Prime’s King Lear, and Michael Shannon in BBC/AMC’s The Little Drummer Girl, directed by Chan-wook Park. 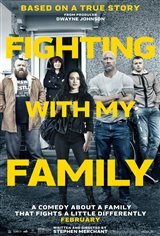 She also plays the lead in Stephan Merchant's wrestling biopic Fighting with my Family (2019) as WWE superstar Paige, starring alongside Dwayne Johnson, Nick Frost, Lena Headey, and Vince Vaughn. Her next projects include Ari Aster’s horror flick Midsommar and Greta Gerwig’s adaptation of Louisa May Alcott’s novel Little Women, each set for release later in 2019. Florence has three siblings, all of whom are performers in their own right: stage actress Arabella Gibbins, Game of Thrones star and musician Toby Sebastian, and actress Rafaela Pugh. She considers Emma Thompson, with whom she worked on King Lear, a mentor. In her spare time, Florence sings, plays the guitar and piano, and writes her own songs.